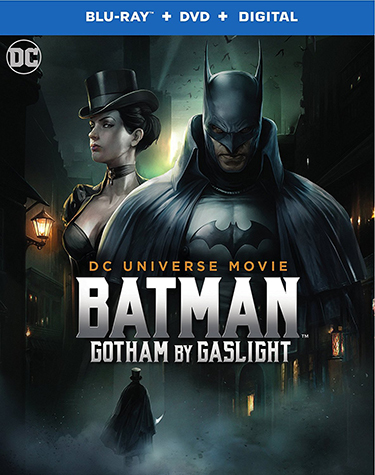 The first true Elseworlds tale from DC comes to animated life as a steampunk Batman hunts Jack the Ripper through the shadows of turn-of-the-century Gotham City in Batman: Gotham By Gaslight. Produced by Warner Bros. Animation and DC Entertainment, the all-new, feature-length animated film arrives from Warner Bros. Home Entertainment on Digital starting January 23, 2018, and on Ultra HD Blu-ray Combo Pack, Blu-ray Combo Pack and DVD February 6, 2018. 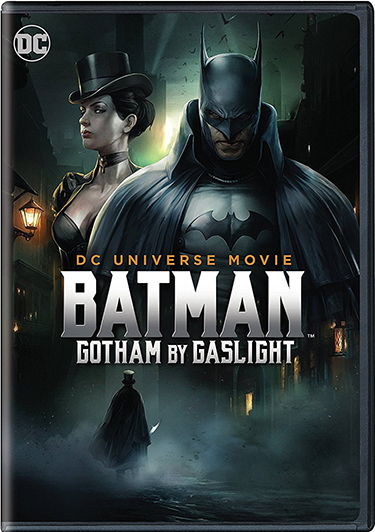 Inspired by the landmark one-shot Elseworlds tale by Brian Augustyn and Mike Mignola, Batman: Gotham By Gaslight will be available in several popular formats as only the second Ultra HD Blu-ray Combo Pack release of a DC Universe Movie. The film will also be available as a Blu-ray Combo Pack and DVD and Digital. The Ultra HD Blu-ray Combo Pack features an Ultra HD Blu-ray disc in 4K with HDR and a Blu-ray disc featuring the film;the Blu-ray Combo Pack features the film in hi-definition; and the DVD features the movie in standard definition. The Ultra HD Blu-ray and Blu-ray Combo Pack include a digital version of the film. –“Caped Fear: The First Elseworld” (Featurette) – Batman in the distant past of Gotham, at the crossroads of where the Gothic 19th century meets the modern age. Jack the Ripper, clashing with Gotham and its ruling elite. The documentary traces the influence of the comic book story, and why Gotham by Gaslight stands the test of time. –Batman: Gotham by Gaslight Audio Commentary – Join Executive Producer Bruce Timm, Director Sam Liu and Writer Jim Krieg as they provide details about the scenes of Batman: Gotham by Gaslight and why this is a special project for each of them. 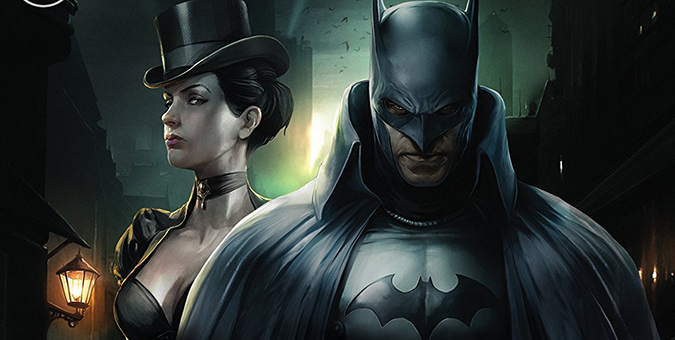 Listen in for all things Batman: Gotham by Gaslight, and immerse once more into this dark and Gothic world. –A Sneak Peek at the next DC Universe Movie, Suicide Squad: Hell To Pay: A behind-the-scenes look at the next entry in the popular series of DC Universe Movies, featuring thoughts from the talented filmmakers. –From the DC Vault – “Showdown” episode from Batman: The Animated Series; “Trials of the Demon!” episode from Batman: The Brave and the Bold. –A Sneak Peek at the next DC Universe Movie, Suicide Squad: Hell To Pay: A behind-the-scenes look at the next entry in the popular series of DC Universe Movies, featuring thoughts from the talented filmmakers and voice cast.